When Obama took office in January 2009, he began a dramatic increase in drone warfare compared to George W Bush, his immediate predecessor. Bush carried out 57 attacks in Yemen, Pakistan and Somalia between 2001 and 2009 using unmanned aerial vehicles — drones — but by the time Obama left the White House in 2017, he'd launched almost 10 times that many strikes: 563, according to the Bureau of Investigative Journalism. Of those, 186 were launched during Obama's first two years in office. Since becoming US president just under two years ago, though, Trump has carried out 238 drone strikes in those three countries, according to US Central Command data obtained by The Daily Beast. Trump's first year saw an escalation of strikes in those countries, too. In 2016, Obama launched 36 drone strikes in Yemen, three in Pakistan and 14 in Somalia. But in 2017, Trump sent drones out on kill missions 130 times in Yemen, five times in Pakistan and 35 times in Somalia. 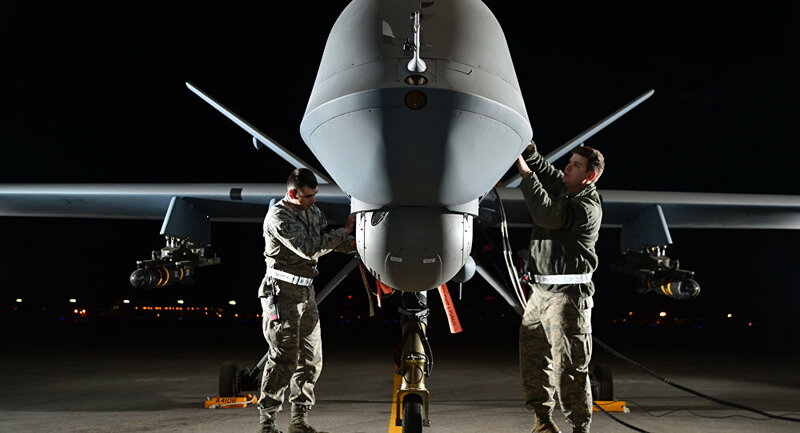 In 2018, however, all those numbers are down, with the US launching 36 drone strikes in Yemen, one in Pakistan and 32 in Somalia, although the year is not yet through, and that number is all but certain to increase, according to US Africa Command (AFRICOM) spokesperson John Manley. Leah Bolger, a retired US Navy commander who is now a peace activist with World Beyond War, told Sputnik Wednesday that "in Pakistan, it's having a horrible effect of creating more enemies, of fostering hatred at the United States." She noted that a Pew poll conducted during her 2012 visit to the country found that 75 percent of Pakistanis felt the US was an enemy country, even though Islamabad sees the US as an ally. However, unlike Pakistan, Bolger said the US didn't care about public opinion in Yemen or Somalia. "I don't think we're trying to win over the Yemeni population or Somali population, it's just our government doing what it likes and the rest be damned." 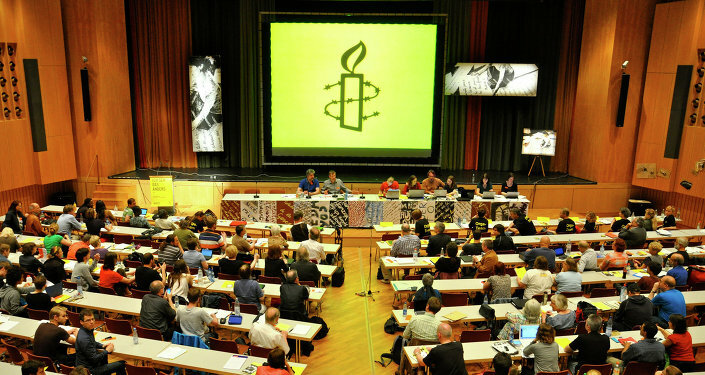 These three countries are separated from declared war zones like Afghanistan, Iraq and Libya in terms of protocol, particularly regarding the burden of proof required to authorize a strike. US forces operate there under the vague justifications required by the Authorization for Use of Military Force Against Terrorists (AUMF) that Bush signed into law a week after the September 11 attacks. AUMF effectively grants the president broad authorization to use "force against those nations, organizations or persons he determines planned, authorized, committed, or aided the terrorist attacks that occurred on September 11, 2001." To be considered an "associated force" of al-Qaeda or the Taliban for purposes of the authority conferred by the 2001 AUMF," a 2016 White House war report states, "an entity must satisfy two conditions. First, the entity must be an organized, armed group that has entered the fight alongside al-Qaeda or the Taliban. Second, the group must be a co-belligerent with al-Qaeda or the Taliban in hostilities against the United States or its coalition partners. Thus, a group is not an associated force simply because it aligns with al-Qaeda or the Taliban or embraces their ideology. Merely engaging in acts of terror or merely sympathizing with al-Qaeda or the Taliban is not enough to bring a group within the scope of the 2001 AUMF. Rather, a group must also have entered al-Qaeda or the Taliban's fight against the United States or its coalition partners." The first drone strike outside a declared war zone was in Yemen in November 2002, when the CIA carried out an attack on the town of Marib that killed six suspected members of al-Qaeda, the BBC reported at the time. Despite the dramatic increase in drone warfare by Obama in 2009, it wasn't until 2013 that his administration created a set of standards and procedures governing the rules of those strikes: the Presidential Policy Guidance. Even those rules were vague, the Intercept reported, noting they only limited lethal strikes to targets outside of an "area of active hostilities" and against targets that pose a "continuing, imminent threat to US persons." While drone use in Pakistan has dropped off, in Somalia in particular, the Trump administration has loosened restrictions on their deployment. Whereas by Obama's 2013 rules, a standard of "near certainty" of the target's presence was required to order a strike on a specific place, as well as the absence of potential civilian casualties, AFRICOM under Trump has changed its standards for ordering a strike to simply require "reasonable certainty" of the presence of al-Shabaab fighters, the New York Times reported in March 2017, two months after Trump took office. In other words, civilian casualties are no longer part of the calculus in the US war in Somalia. In addition, Brig. Gen. Donald Bolduc, who commanded US special operations forces in Africa from April 2015 to June 2017, told the Daily Beast that until protest over civilian casualties is raised by journalists, governments or nongovernmental organizations, the US military presumes that everybody it kills are enemy fighters. "The only assessment we have is we continue to fly over the objective post-strike to get a sense of the environment from the air," he said. Bolger noted that "Congress is the only entity that has the power to declare war and they have abdicated that responsibility and given it over to the executive, many, many years ago. The last time that the United States declared war, formally, through Congress, was World War II. Since then, Congress has just gone along with whatever the executive wants." However, the retired naval officer said that Congress doesn't want this power because "then it comes back to bite them when they are running for re-election. They're happy to abdicate their responsibility and let the executive do it and then wash their hands of it and say ‘we support our troops and we support our country so we're going to keep adding more dollars to the defense budget." Congress doesn't have a say in which kinds of weapons are used in wars, though. While the Pentagon does ask for a certain amount of money for different weapons systems, the budgets given by Congress to the Defense Department don't specifically iterate on which weapons or technologies that money must be spent, Bolger said. "The services are the ones to determine where that money goes," she told Sputnik. 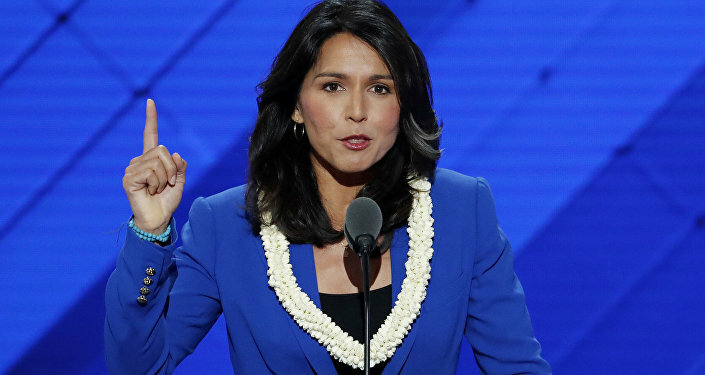 However, she noted that Congress could have hearings on the detrimental effects of drones. On October 29, 2013, Congress hosted such an investigation. Survivors of US drone strikes in Pakistan traveled to Washington, DC, to be the first to testify before Congress on the effects of this kind of warfare. However, only five of the US Congress' 535 representatives actually showed up for that hearing — all Democrats in a Republican-controlled legislature, according to Common Dreams. "It was laughable," Bolger said of the hearing, "to say that Congress really cared or was interested in the effects" of drone warfare." She speculated that the Obama administration might have reigned in its drone use in later years because of the intensely negative feedback they were getting from Pakistanis, but that Trump isn't likely to behave similarly because "Trump doesn't care what anybody thinks." 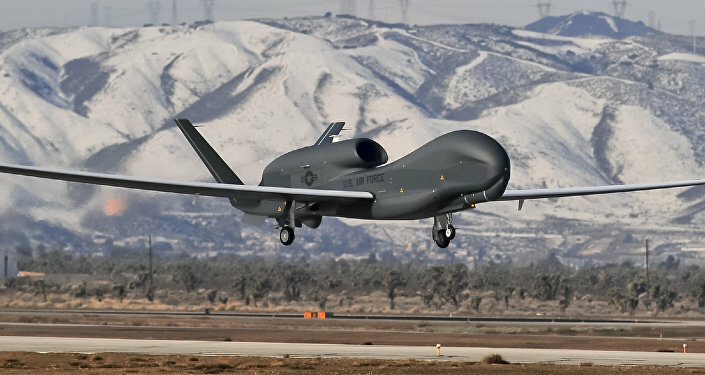 Indeed, the Trump administration shows signs of heating up these undeclared wars even more: the US Air Force's budget for its drone fleet's primary weapon, the AGM-114 Hellfire missile, has increased dramatically since Trump took office, despite the drawdown of combat in declared war zones. The 2017 budget for Hellfires increased by 63 percent over 2016, and 2018's budget saw a further 20 percent increase on top of that. "This is what we're going to be seeing in the future," Bolger said: "less deployed forces and more robotics and unmanned aerial vehicles… things that don't endanger the lives of American troops, because of American public pressure — they don't want to see Americans killed." That, she said, is why the US military and government has embraced the use of drones.